Buy On The Ledge a Coffee. - Ko-fi ❤️ Where creators get paid by fans, with a 'Buy Me a Coffee' button. 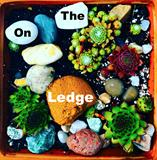 If you want to keep hearing more episodes of On The Ledge, please support the podcast by buying me a coffee! If that's not your thing, just leave me a review on iTunes. Either way, I'll repot your spikiest cactus, honest! Secured Payments. Support goes to On The Ledge's account. Upgrade On The Ledge to a yearly Gold Membership with a one-time payment.